Curious to see how eight years of extensive touring look like if put in words and photos? We have already covered the music of Canadian solo artist Eric Quach as thisquietarmy and while we mostly love his records, what we love more is that he tours a lot. Eric (who coincidentally has a birthday while this piece is taking shape, happy birthday, mate!) is still based in Canada but each year he finds a way to reach Europe for at least two-three months. Moreover, it’s never only about the easy accessible and well-paid spots. thisquietarmy has reached all corners of the world where his music was wanted and appreciated. To finalize his DIY profile, Eric is operating his own imprint TQA Records and is mainly self-releasing or co-releasing his albums. He still books himself and is the living proof DIY is the way. Late last year, thisquietarmy published the book Conqueror: 2009​-​2017. As you can see from the photos it’s an epic effort. 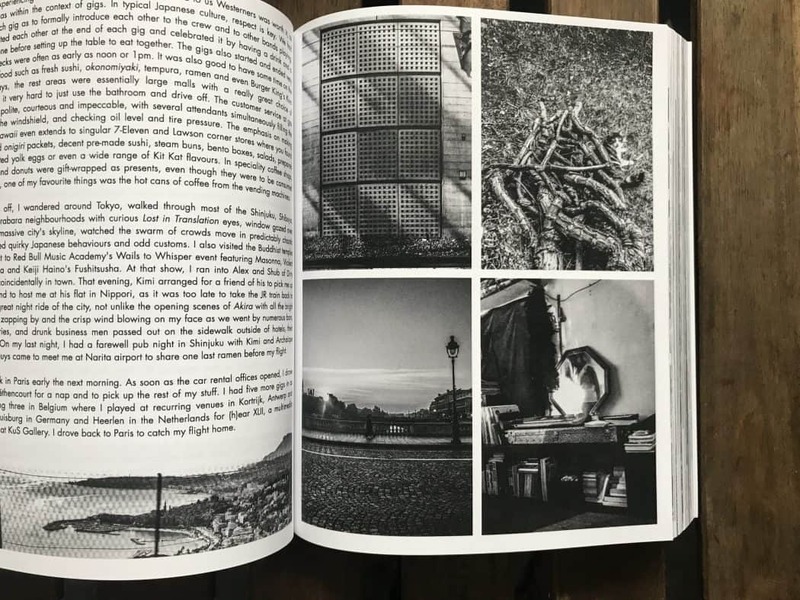 The book offers a huge selection of photographs accompanying the short tour stories Eric Quach has featured in the book. Conqueror: 2009​-​2017 has documented 8 years of thisquietarmy’s life as a full-time touring act. The pages of the book will tell you the stories about 17 tours, 500 shows and 35 countries in North and South America, Asia and Europe. This is shown in over 1000 photographs and a tour diary of over 30,000 words. If I have to be completely honest, when I first learned about the book and got it few weeks later it did feel a bit as an overkill. I thought it was too megalomaniac, too big. I thought it could have been made shorter. Yes, it’s a beast of a book, larger than the regular format and I guess, expensive to manufacture. However, several hours within its world proved me wrong. It was totally worth it and wouldn’t be the same if it wasn’t so extensive! Eight years of touring is hell a lot of work, effort, patience, struggle and of course all the rewarding joy of having the freedom to share your art with the world. If Eric Quach was able to endure all of this, in both good and bad, well, I think we can manage 480 pages of beautiful shots and personal recollections. Conqueror: 2009​-​2017 also comes with a flexi containing the self-titled track. 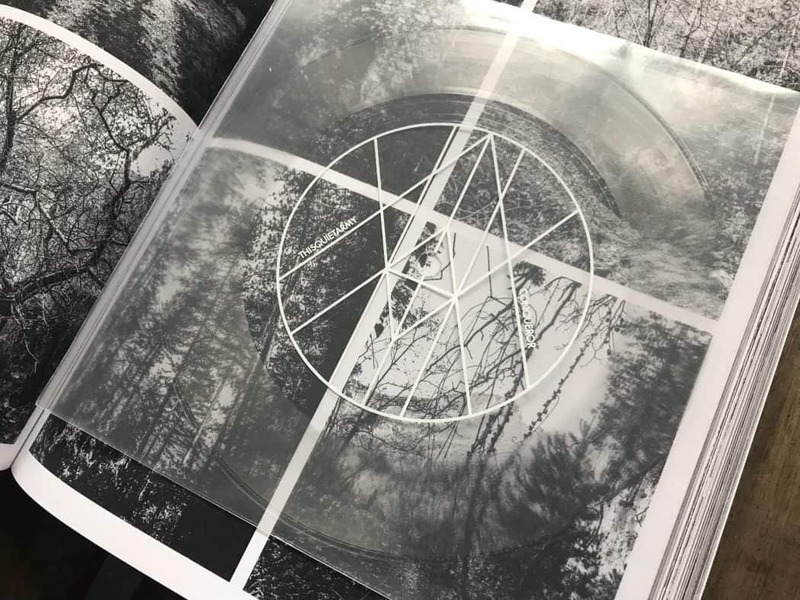 I’m familiar with pretty much the full thisquietarmy catalog as I’ve been observing Eric’s work for years, but this short piece is definitely a highlight in his discography. It starts quiet, feels self-reflective but eventually turns epic and somehow triumphant. Just let it loop while you’re enjoying the book. There are still copies of Conqueror: 2009​-​2017 on Bandcamp. Oh yes, you might as well want to catch thisquietarmy live. He’s touring again already.